Pakistan had on Thursday claimed that it has taken control of 182 madrassas and detained 121 people as part of its crackdown on banned terror groups. 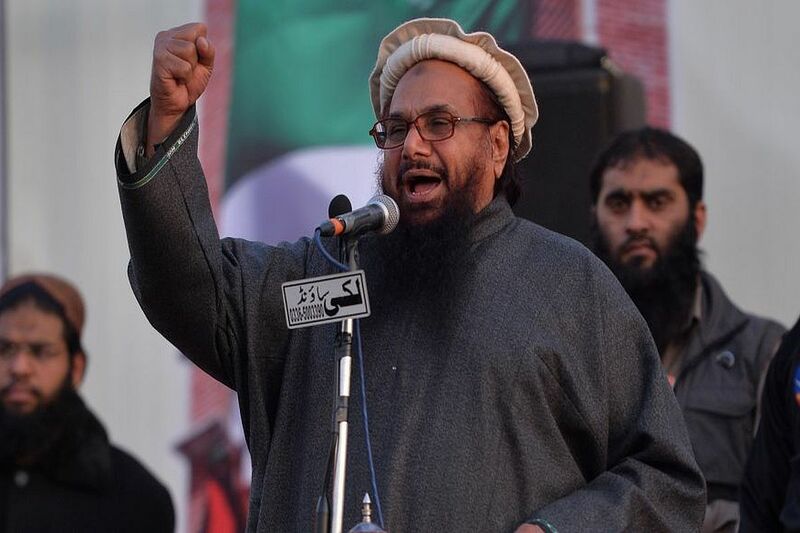 The Pakistan government has announced that Mumbai terror attack mastermind Hafiz Saeed has been “barred” from delivering the weekly Friday sermon at the headquarters of his terror outfit Jamaat-ud-Dawa or JuD in Lahore in Pakistan’s Punjab province. This is perhaps for the first time in years that Hafiz Saeed, despite being present in Lahore, will not be able to deliver the Friday sermon at Jamia Masjid Qadsia, the headquarters of the JuD. Hafiz Saeed was never stopped from delivering Friday sermons even during the years when Masjid Qadsia’s control was under Pakistan’s Punjab government. “As the Punjab police have sealed the Jamia Masjid Qadsia, Hafiz Saeed will not be allowed to enter the premises to give his weekly sermon on Friday,” a senior official of the Punjab government told news agency Press Trust of India. “Hafiz Saeed requested the Punjab government to allow him to give sermon on Friday at Qadsia Masjid but it was turned down. This is significant with regard to his ‘clout’ as for the first time he is not being allowed by the government to give sermon on Friday,” he added. The interior ministry, according to reports had said the action was part of a long-planned drive and not a response to pressure from India to rein in terror groups operating on Pakistani soil. Provincial governments have “taken in their control management and administration of 182 seminaries (madaris)”, Pakistan’s interior ministry said in a statement, referring to religious schools, adding that “law enforcement agencies have taken 121 people under preventive detention as of today”. At least two seminaries and assets belonging to Hafiz Saeed’s proscribed Jamaat-ud-Dawa (JuD) and its charity arm Falah-e-Insaniyat (FIF) have been taken over by the Pakistan government. The JuD is the front organisation for the Lashkar-e-Taiba or LeT, which is responsible for carrying out the Mumbai terror attack that killed 166 people. It has been declared as a foreign terrorist organisation by the US in June 2014. Reports say that in Pakistan’s National Counter Terrorism Authority list, which was updated on Tuesday, the JuD and FIF were among 70 organisations proscribed by the Ministry of Interior under the Anti-Terrorism Act, 1997. The crackdown comes amid intense global pressure in the wake of the Pulwama terror attack that killed over 44 CRPF personnel. Bowing to intense global pressure to rein in terror groups, the Pakistan government had earlier issued an order to streamline a process for the implementation of sanctions against individuals and entities of all banned outfits as designated by the UN Security Council. The UN Security Council (Freezing and Seizure) Order, 2019, was issued in accordance with the provisions of Pakistan’s UN Security Council (UNSC) Act, 1948.